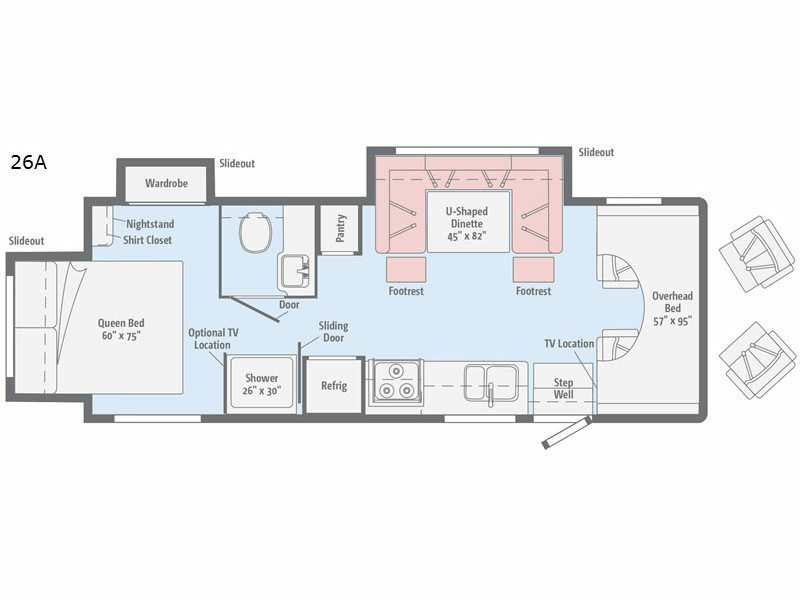 You will enjoy this spacious coach including triple slide outs offering plenty of room to move about, and it is filled with all of the amenities you will need to enjoy any road trip you take! 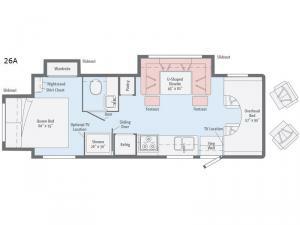 The galley kitchen allows you to make warm meals while camping plus there is a pantry to store lots of goodies. The U-shaped dinette even offers footrests, and four seatbelts to safely carry loved ones with you. Above the cab there is a 57" x 95" bed which is ideal for children unless you enjoy sleeping bunk style. The split bath allows access from the main area and the rear bedroom which offers a unique rear slide out queen bed. This is the one!